SENA Development Public Company Limited was found by	Mr. Theerawat Thanyalakpark, the Chief Executive Officer. With over 30 years of the real estate development to be the expert on the property development offering more than 60 quality projects on residence development in all types: single houses, townhouses, condominiums, including commercial buildings. Throughout its operation, the Company has committed to create good quality products and after sale services to the customers which are the key elements. Such commitment has defined on its philosophy, vision, mission, and the value of the organization. 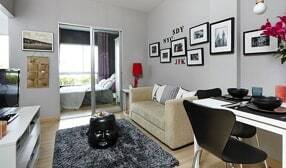 The Company has operated proudly to be the good quality real estate development company and proud to be part of the middle-low customers whom possibly own the residence at a price worthy to the payment. residents of all SENA projects, beginning with the 24 hours online maintenance calls that served by SENA WE CARE which giving the repair and maintenance advice properly, Comfortable to live and regularly conditions project served by Victory Asset Management, and resale and rental services served by Living Agent to add value on the assets in the future. 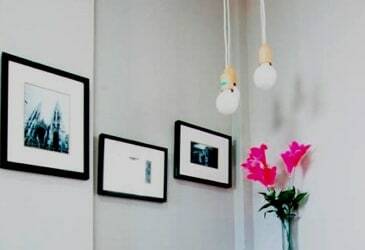 Through the Company’s philosophy “The Customers’ reliability is the pride”, the Company has conceptually complied and constantly cared all residents of overall projects both delivered and undelivered. 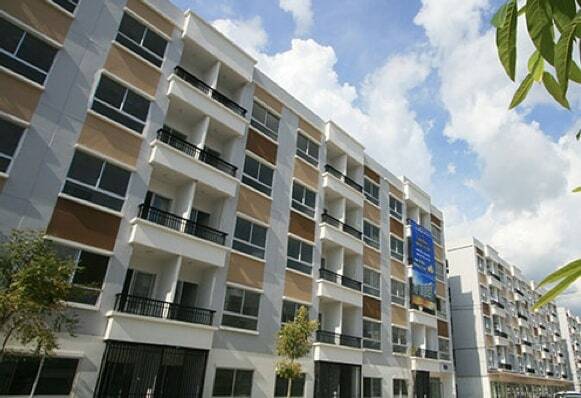 The requirements of the residents are similarly to the needs of family members. 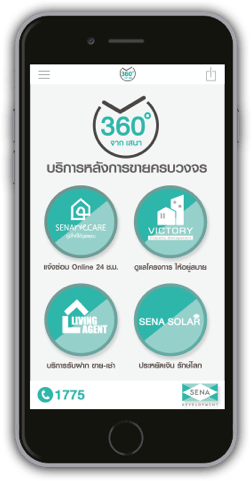 Therefore, the Company has set up the 360 degree after sale services to provide full services for residents of all SENA projects, beginning with the 24 hours online maintenance calls that served by SENA WE CARE which giving the repair and maintenance advice properly, Comfortable to live and regularly conditions project served by Victory Asset Management, and resale and rental services served by Living Agent to add value on the assets in the future. 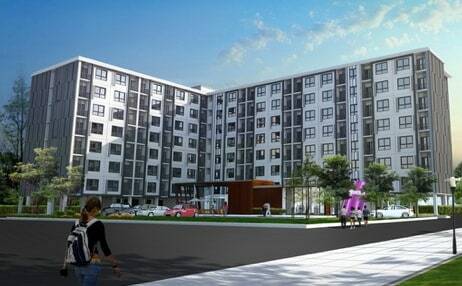 With the intention of Mr. Theerawat Thanyalakpark, Chief Executive Officer, to return benefits to the social, the real estate development projects were done under the name “Baan Ruam Tang Fun”. 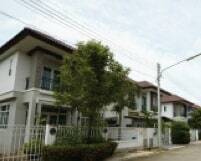 Such residence project was created for social responsibility project and managed by Baan Ruam Tang Fun Co., Ltd. The beginning of this project was originated from the executives of SENA Development who viewed that the reception rooms were few and not available to serve thousands of patients daily treated at the public hospital including the shortage of medical equipment. Therefore, the monetary donation was contributed to support and improve the quality standard of hospitals, increase the medical tools and equipment completely for medical care and facilitate the patients waiting for medical treatment comfortably. With the intention of Mr. Theerawat Thanyalakpark, Chief Executive Officer, to return benefits to the social, the real estate development projects were done under the name “Baan Ruam Tang Fun”. 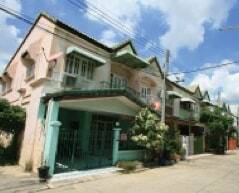 Such residence project was created for social responsibility project and managed by Baan Ruam Tang Fun Co., Ltd. The beginning of this project was originated from the executives of SENA Development who viewed that the reception rooms were few and not available to serve thousands of patients daily treated at the public hospital including the shortage of medical equipment. Therefore, the monetary donation was contributed to support and improve the quality standard of hospitals, increase the medical tools and equipment completely for medical care and facilitate the patients waiting for medical treatment comfortably. The management of “Baan Ruam Tang Fun” project was executed by the executives of SENA Development with the cooperation and collaboration to dedicate their time beyond the normal working hours to manipulate such project without any compensation at all, as well as using SENA team to organize the project in order to maximize the profit and donate all income to the public hospital to decrease the government burdens and support for sufficient services. Although “Baan Ruam Tang Fun” project is emphasized on social responsibility, the project implementation was acknowledged and successful. With the design and good location, the project was received good responses from many customers. The management of “Baan Ruam Tang Fun” project was executed by the executives of SENA Development with the cooperation and collaboration to dedicate their time beyond the normal working hours to manipulate such project without any compensation at all, as well as using SENA team to organize the project in order to maximize the profit and donate all income to the public hospital to decrease the government burdens and support for sufficient services. Although “Baan Ruam Tang Fun” project is emphasized on social responsibility, the project implementation was acknowledged and successful. 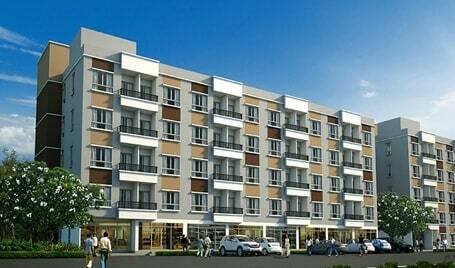 With the design and good location, the project was received good responses from many customers. In 2004, the Company inititated “Baan Ruam Tang Fun 1” located at Lamlookka Klong 2 in the form of townhouse and home office for 254 units with the starting price of Baht 1.3 million. The revenues from the project management and implementation for over a year were over Baht 340 million. The Company was received the financial support from the Government Housing Bank, Siam City Bank as well as the stores providing on special condition support. For income after expenses deduction, the Company decided to donate to the public hospital for the first project. In 2007, the executives of SENA Development Public Company Limited and its group were so proud on donation at the total amount of Baht 40.059 million to Siriraj Hospital for supporting and budgeting medical activities so that general public obtain good quality of life equally. 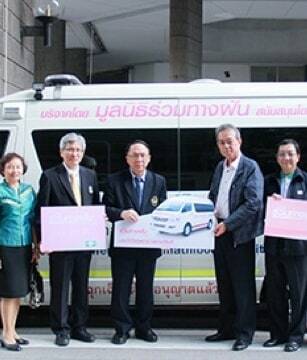 Siriraj Hospital used such donation to build physician room and procure medical devices. 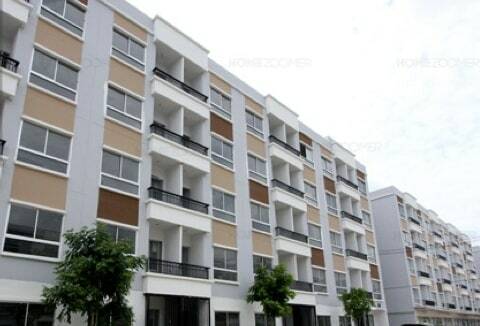 To continue its determination, the “Baan Ruam Tang Fun 2” located at Lamlookka Klong 4 for 184 units composed of townhouse at 90 units, twin house at 81 units, home office at 13 units with the total project amount of Baht 372 million. The operation income from this project was donated to Police General Hospital to procure the medical equipment and renovate the dialysis room at the amount of Baht 40 million. In 2012, the Company continually committed to launch “Baan Ruam Tang Fun 3” located at Klong Luang Road, nearby Talaad Thai, which consisted of 5-storey condominium for 4 buildings, total 282 units, and 14 units of 3.5-storey home office. 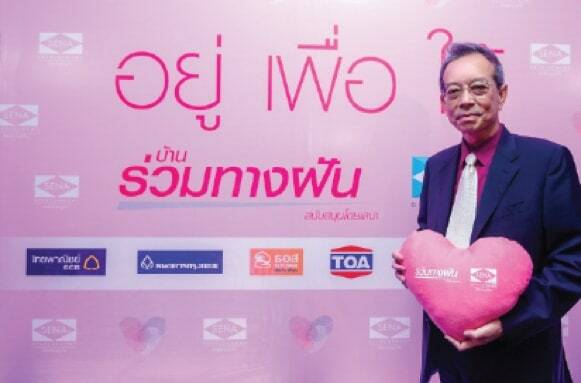 All income from the operation was donated to Ramathibodi Hospital to buy ambulances, medical equipment, and support the patients with congenital heart project at the total amount of Baht 40 million. 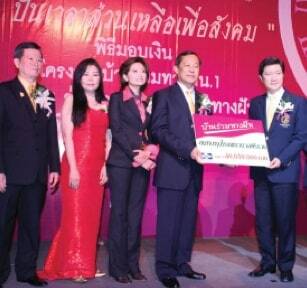 In 2014, the Company was able to donate in order to support the medical equipment and activities to the public hospital at the amount of Baht 120 million. Moreover, the operation income from Baan Ruam Tang Fun 3 project (the excess of Baht 40 million giving to Ramathibodi Hospital) was donated to buy 2 ambulances delivering to Pranangklao Hospital and Chaloemprakiat Hospital at the amount of Baht 3.52 million.